We’re back from the Baltimore Comic Con last week. Good show. Our man Rafael “Doc” Rosario will have an in-depth look into all of the shows that InvestComics has covered this year. Look for that article after we do one of our final shows at the New York Comic Con! though, this homage cover is SOLD OUT already. Kevin Keller and Archie Comics are hitting their stride. Best be on top of this. With their imprint Dark Circle coming too, you best be on top of that as well. Sticking on topic for a minute here, Archie Comics releases Sonic the Hedgehog (1993- Ongoing Series) #264. This issue debuts Sonic the Werehog. Look at the awesome cover. Archie Comics is bringing it. Marvel fans will have a new epic saga to follow this week on top of the Spider-Verse saga. This one is called “Time Runs Out”. It’s an eight month jump ahead in the Avengers title. What this means exactly I’m still a bit confused. Nonetheless, the big story begins in Avengers (2012 5th Series) #35. A couple of debuts within the Marvel Universe maybe you’d want to check out. Daredevil (2014 4th Series) #8 has the first look at the Purple Children. Yes that’s correct, Purple Children. Then you have Kurn in Superior Spider-Man (2012) #33. Yes Kurn. I don’t make this up, I really don’t. How about Gwen Stacy as Spider-Gwen in Edge of Spider-Verse (2014 Marvel) #2? Yes, I really really don’t make this up. Thor God of Thunder (2012) #25 will have a bunch of very talented creators all over it in this extra sized issue. 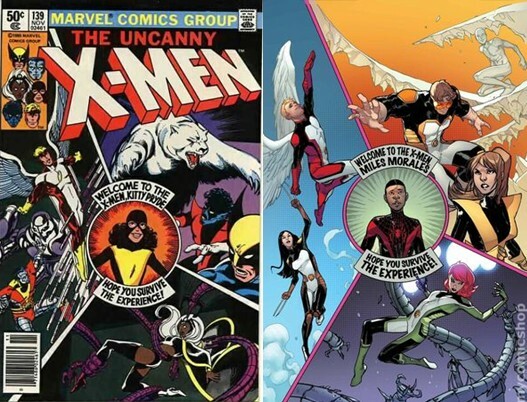 The All New X-Men (2012) #32 cover pays homage to Uncanny X-Men #139 (1980). 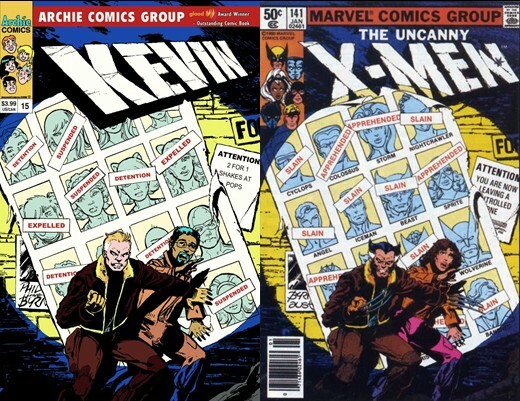 Funny thing that Archie Comics is paying homage to a cover that appeared two issues later (Uncanny X-Men #141) this week. Legend George Perez will debut his new series; Sirens (2014 Dynamite) #1. If you happen to be in the South Florida area on September 30th George Perez will be at Tate’s Comics in Fort Lauderdale between the hours of 5-7pm. He will be signing his new Sirens book and hanging with fans. InvestComics will be there! Some other comics to definitely check out; Itty Bitty Bunnies in Rainbow Pixie Candy Land Save X-mas (2014) #1, Storyteller Witches (2014 Boom) #1, and Oddly Normal (2014) #1.